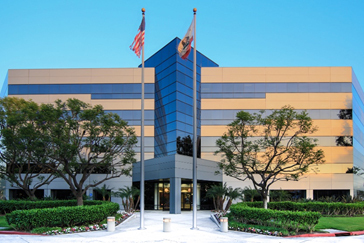 Uniwell Corp has acquired Cypress Crossroads, a 106.3k sf office building in Cypress, for $24 mil ($226/sf). The multi-tenant property was sold by Dornin Investment Group, who purchased the asset in 2014 as a lender-owned, value-add opportunity. Built in 1987, the property is situated on a 4.2-acre site at 10833 Valley View. Occupancy at the time Dornin purchased the building was 74% and was increased to 89% at the time of sale. The largest tenant, Premier Health Plan, which leased 22.4k sf in August 2016, recently executed a 13k sf expansion that will bring occupancy to 92%. The building is a steel-framed, five-story office asset that was renovated in 2004 and again under DIG’s ownership in 2015. The latest renovations included full upgrades to the lobby and common areas, featuring quality finished stone and wood accents, new cooling towers, modernized elevators, and an energy management system. Marc Renard, Manfred Schaub, Morgan Jackson, and Jeff Cole of Cushman & Wakefield represented both parties in the sale. Simon Dillon and Reid Weaver of CBRE represented DIG for leasing services during the hold. DIG continues to seek well located value add acquisition opportunities and is currently targeting opportunities in Las Vegas, San Diego, Denver, Phoenix, Houston and San Antonio.